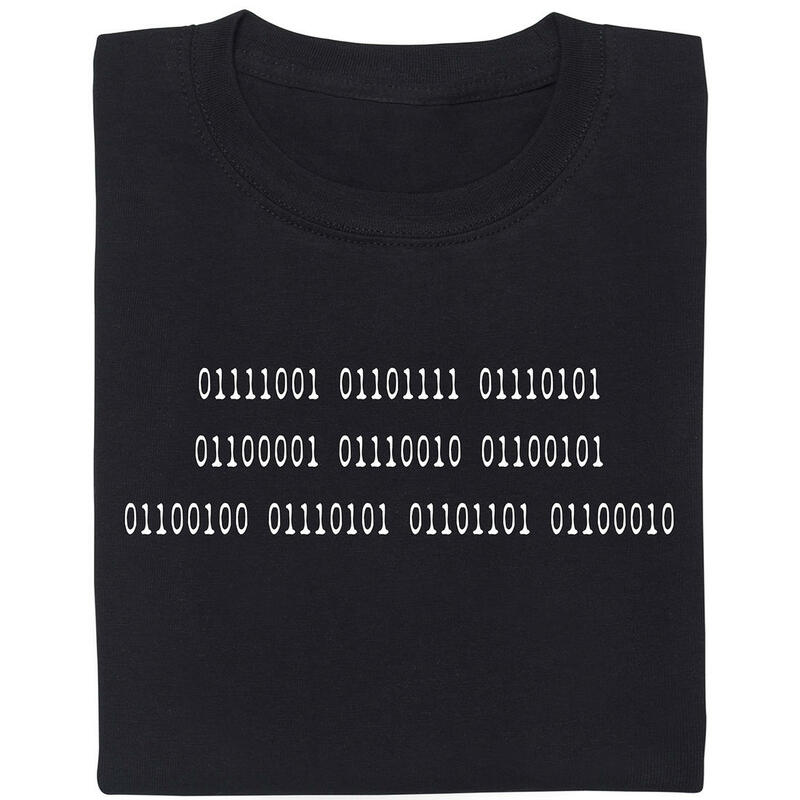 Quantum physics condensed into a single t-shirt! In the light, the cat is "alive", in the dark it is "dead"
The most famous cat of all time (well, apart from Garfield) is without a doubt Schrödinger's Cat. In a legendary thought experiment, the Austrian quantum physicist (1887-1961) proposed a state in which a cat can be dead and alive at the same time! 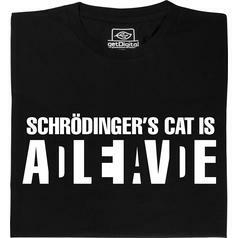 The same concept holds true for our Schrödinger's Cat Glow-in-the-Dark T-Shirt! In the light, you can see a cute cat sitting in a box, clearly showing the feline is alive. But when you switch off the lights, you're in for a surprise: a skeletal cat has replaced the living cat and the sign on the box indicates that the cat is, in fact, dead. Unlike in the experiment, special glow-in-the-dark paint allows the cat to transcend the boundaries of physics  as long as the t-shirt has managed to "charge up" beforehand. The t-shirt is machine washable at 30 oC; higher temperatures will harm the (alive) cat's fluffy fur ;). 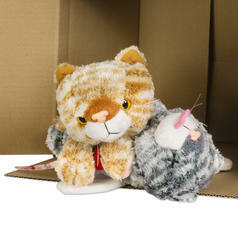 25.95 £ lade... Schrödinger's Cat Plush Like the famous original, this cat is alive and dead at the same time, you just need to reverse it. 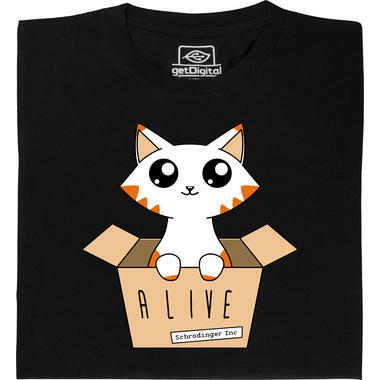 from 16.95 £ lade... Fair Geek Wear Schrödinger's Cat ADLEIAVDE T-Shirt Mr. Schrödinger's cat is the only one who is dead and alive at the same time. 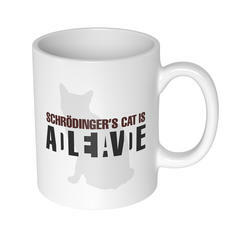 8.65 £ lade... Schrödinger's Cat Mug Erwin Schrödinger always knew that if there are cats in it, it will be successful! 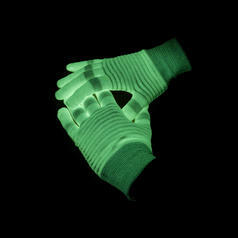 12.95 £ lade... Glow Gloves These gloves glow in the dark.